I know a big topic when it comes to new bloggers is how to get products sent to them for free. I have been blogging for years and it took at least two years before I received my first product to review. 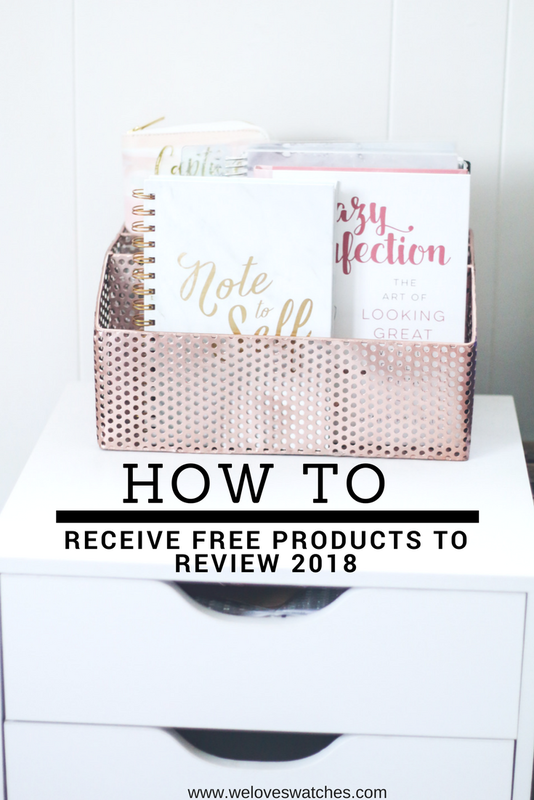 But blogging has changed quite a bit compared to years ago, so I have came up with a list of different ways you as a blogger can receive free products to review. Octoly- this is by far one of my favorite websites that I use. Octoly offers a list of different products you can choose from to review. I have received products from Lancome, Kevyn Aucoin, OPI and more! How it works is that you get 5 credits. Each credit equals one product you can request. So you can request up to 5 products at a time. Once you receive your products in the mail, you upload your review on Instagram and then you submit the photo to Octoly and you get one of those credits back! You can use this site for both Instagram and Youtube. If you are interested in signing up, you can do so here. You will receive 5 octopoints which can later be used to redeem gift cards! I included a screenshot of some of the products currently up to redeem. Influenster: this is for sure a fun one to sign up for. 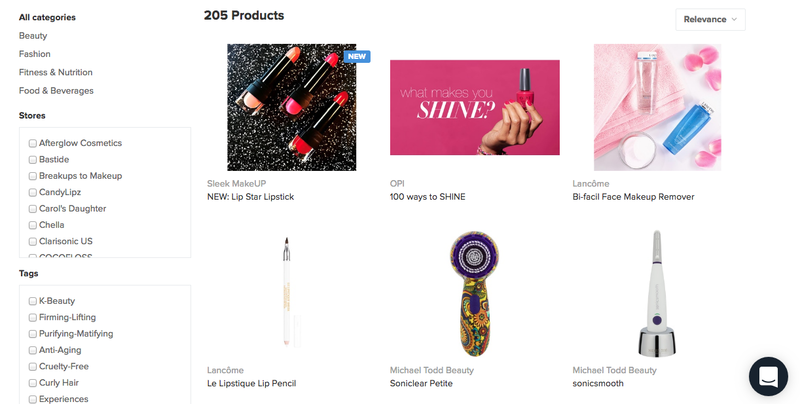 With Influenster you get to receive different vox boxes that can include food, beauty, skin care, coupons etc. All you have to do is share photos, tweets, share on Pinterest, Twitter etc, once you receive the products. I have received things from Maybelline, Covergirl, Marc Jacobs and many more. If you would like to sign up you can do so here. Once you sign up they will have a bunch of different questions so they can match you up best to which vox box they think will be perfect for you! Revfluence: this one may be a little harder to get into. With Influenster you do not even need to have a following, but Revfluence has higher expectations for who gets access to the site. But if you do get accepted, you can work with some awesome companies. I have received a mattress before, as well as some makeup and Monster drinks! If you have a good following with decent engagement, I would highly recommend signing up! Socialix- which this website you need at least 5,000 followers on Instagram. Once you sign up though, you can work with a lot of different companies as well. They have everything from beauty to fitness and even food! I love when there is different sites that have a mix of things to choose from. You can apply for products to review on your blog, Twitter, Instagram, Youtube, Facebook and even Pinterest! So I would highly recommend checking this site out as well. Lastly, I wanted to talk about reaching out to companies. When I first started my blog and Instagram, I actually reached out to companies myself. Surprisingly, a lot of beauty companies are willing to send products for you to review. I think I waited until I had at least 2,000 followers before I started reaching out, but it was amazing. I remember I was still living at home and I had received three packages in the mail one day and my mom was so excited for me. One of the first companies I actually reached out to was OFRA Cosmetics. Yup, a huge makeup company now. They even teamed up with me back in the day to do a giveaway. And now it is seriously so amazing to see how far along they have come. But do not be afriad to reach out to companies. I really hope you found some of these websites helpful. I know there is a few more out there, but these are the ones that I have personally used and love. Once I try out a few more different sites, I will do another post with updates. I think I am going to do a post on affiliate programs as well if you guys would be interested! Blogging is seriously a passion for me and to turn it into a business is a dream and I find these sites to be extremely helpful to just get your foot in the door.